MSCI’s broadest index of Asia-Pacific shares outside Japan climbed 0.1 percent with South Korea’s KOSPI up 0.5 percent. Australian shares slightly weaker. Asian shares started on a firm footing on Monday and the dollar eased as risk appetite was whetted by better-than-expected data from China that helped boost confidence about the health of the world economy. Japan’s Nikkei jumped 1.3 percent to the highest since early December. Investors have been fretting about a global growth slowdown this year as trade disputes and tighter financial conditions hit demand. Last week, the International Monetary Fund cut its outlook for the world economy for the third time in six months. There have also been worries that weakness in key economies, including China, could spread to other countries, especially if elevated trade tensions between Beijing and Washington escalated further. That explains why investors cheered Chinese data showing exports rebounded in March to a five-month high while new bank loans jumped by far more than expected. Total bank lending in the first three months of 2019 hit a record quarterly tally of 5.81 trillion yuan (USD 866.7 billion). “Markets were buoyed by an improvement in China’s data which saw risk appetite improve,” ANZ said in a note to clients. News over the weekend added to the upbeat mood. US Treasury Secretary Steven Mnuchin said on Saturday a US-China trade agreement would go “way beyond” previous efforts to open China’s markets to US companies and hoped that the two sides were “close to the final round” of negotiations. Also helping sentiment, the Group of 20 industrialized nations have called for a trade truce in a sign world leaders are prepared to take action to curtail risks of a global economic slowdown. The risk sensitive Australian dollar, which is also used as a proxy for China plays, hovered near a seven-week top at USD 0.7173. 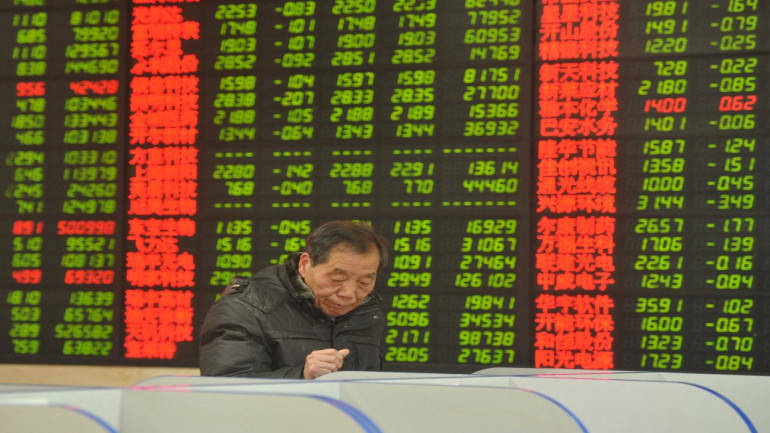 Investors are next looking to China’s March-quarter gross domestic product data due Wednesday. All eyes are also on corporate earnings from major US companies after quarterly results from JPMorgan handily beat analyst estimates last week. All that positive news boosted Wall Street on Friday with the Dow jumping 1 percent, the S&P500 climbing 0.7 percent and the Nasdaq adding 0.5 percent. In currencies, the dollar index was a shade weaker at 96.909 against a basket of major currencies as demand for safe haven assets eased. It had slipped to a near three-week trough of 96.745 on Friday. The euro held at USD 1.1302 as dealers were gearing up for demand from Japan as Mitsubishi UFJ Financial closed in on its multi-billion-euro acquisition of DZ Bank’s aviation-finance business. In commodities, oil provided big milestones, with Brent breaking through the USD 70 threshold last week and the US benchmark posting six straight weeks of gains for the first time since early 2016. Brent crude oil futures was last off 31 cents at USD 71.24 while crude futures, the US benchmark, eased 45 cents to USD 63.44.